Compost Digital Temperature Probe 1.5 Metre - Temperature Probes - Monitoring Equipment. The TP3Mc Temperature Probe is the first choice machine for measuring the temperature of composting materials. 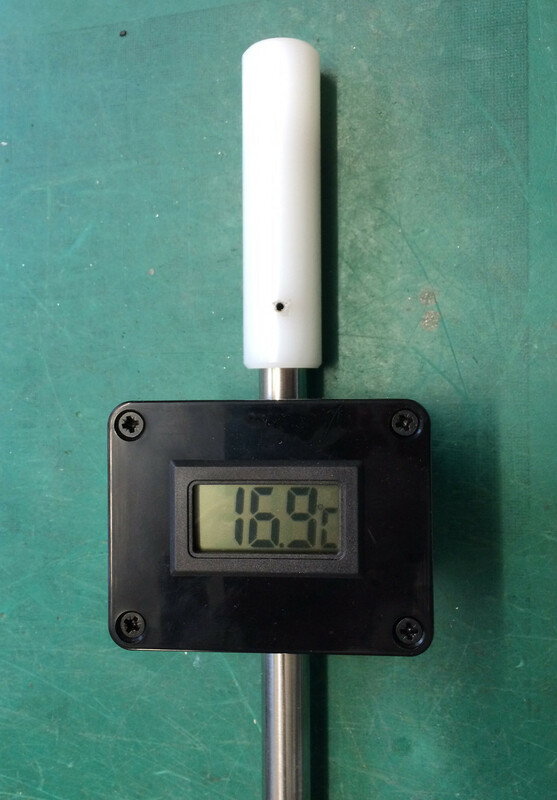 Designed to offer a low cost temperature measurement facility without accuracy or build quality compromise, the TP3Mc meets the requirements of the most stringent quality standards in operation in the UK today. Tutn the TP3Mc on using the switch on the base of the display unit. Place the probe into the compost to the depth required and leave for a few minutes for the probe temperature to stabilise. The unit updates the temperature readout every second. Take a reading, remove the probe and place elsewhere in the compost for the next reading.